Del Webb Sweetgrass is an exceptional active adult community offering resort-style amenities. Set in Richmond, Texas, Del Webb Sweetgrass is an amenity-rich community which enjoys a prime location in the Houston area. This impressive, single-family community welcomes residents aged 55 or better with an exciting line-up of classes, clubs and activities. Its resort-style amenities support a wide-range of interests and let residents plan their own retirement lifestyle. 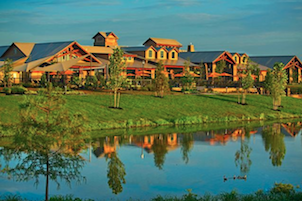 Opened in 2011, Del Webb Sweetgrass sits on 500 beautiful acres, featuring a natural creek, a 50-acre lake and four miles of scenic walking trails. Its location provides a tranquil setting, while still being close to Houston's urban attractions; and its ranch-style, single-family homes were specifically designed for older adults. As the hub of social and recreational activity, Del Webb Sweetgrass' 27,000 square-foot clubhouse is a natural gathering place for residents. Known as the Lakehouse, this inviting facility is fully staffed to help residents make use of the amenities and find the activities that appeal to their personal interests. Social clubs and special-interest groups cover many topics, such as arts and crafts, book discussion, cards and games, fitness, genealogy, investments, photography and travel. Residents can exercise while overlooking the scenic community landscaping and sparkling water features. 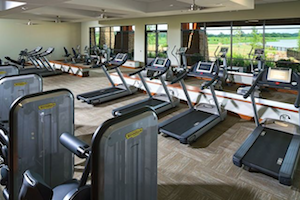 The clubhouse's spacious fitness center provides state-of-the-art cardiovascular and strength-training equipment, as well as an aerobics and dance studio, locker rooms and an indoor swimming pool. Hobby and game rooms feature activities like billiards and cards, while the arts and crafts studio makes it easy for residents to express their creativity. Additional amenities include a library, an Internet coffee bar, a continuing education center, a catering kitchen and a multi-purpose ballroom. Outdoors, Del Webb Sweetgrass encourages residents to enjoy the beautiful Texas weather with a large patio and a resort-style swimming pool. Walking and biking trails wind throughout the community, and sports courts encourage friendly competition. The grounds feature two tennis courts, four bocce ball courts and four pickleball courts. Upon completion, Del Webb Sweetgrass is expected to include approximately 1,500 single-family homes in sizes ranging from 1,109 to 2,581 square feet. These ranch-style designs typically feature open layouts with luxurious master bedroom suites and covered patios for outdoor living. Homes are divided into three distinct collections: the Garden Series, the Classic Series and the Estate Series. Homes in the Garden Series offer four compact designs each with a minimum of two bedrooms, two full bathrooms and a two-car garage. Two models also give the option of a den or third bedroom. Homes in the Classic Series typically include two bedrooms, two bathrooms, a den and a two-car garage. Some models also have a third bedroom or extra garage space. The largest homes are found in the Estate Series. They offer two or three bedrooms, separate dens, two to three-and-a-half bathrooms and two to three-car garages. With beautiful homes, impressive amenities and a prime Coastal Texas location, it's easy to see why Del Webb Sweetgrass is a popular retreat for active adult retirees.